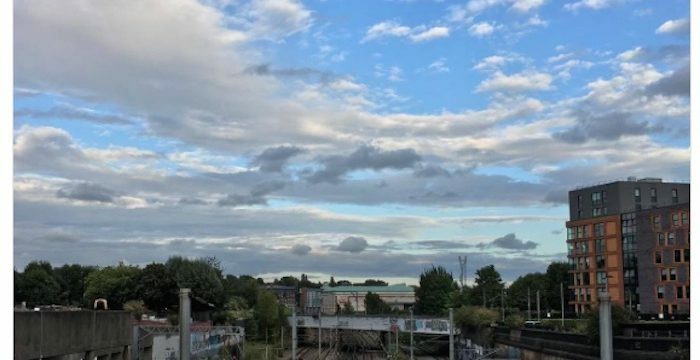 West Hampstead Life | What have you missed since September 11th? The selection for West Hampstead, however, wasn’t quite so smooth. And – people of West Hampstead – we can’t recommend highly enough Richard Osley’s political coverage of our area in the CNJ. As Richard points out given Labour only have 54 candidates for 54 seats (and apparently the lists are closed) and West Hampstead now goes to the back of the queue – since the best candidates stand first could we end up with the leftovers? Reminder: of the last three candidates one left to became an independent and the other two stepped down after one term. WHL got down and dirty on the Kilburn High Road (KHR for all you kids) following complaints about the state of things. Room for improvement we think. A lot. And as it happens the Evening Standard Property section did an area guide to Kilburn. The area has ‘a raw and real feel’ (see above). And Kate Moss once lived here – really? Yes, really! A West Hampstead property appeared in (the prestigious) Architectural Digest. Ooh-err. Hang on – it’s a converted … garage!? You need an extra bedroom. It will ‘only’ cost you £790,000 to move from a two-bedroom to a three-bedroom in Camden. Gulp. Looking for an office in the area? The commercial units in the Ballymore building are up for rent, but not cheap. It was the NDF meeting last week. The new owners of Nido (the student housing) were there presenting plans to remodel some of the facades and expand the building (adding an extra 40? rooms). It’s only a couple of years old! More property news – a West Hampstead landlord was fined £339,000 for breaches of planning/ renting sub-standard housing. If like WHL, you are interesting in decent housing for everyone then we recommend ‘Unreliable Evidence’ on Radio 4, which this week looked at housing law. 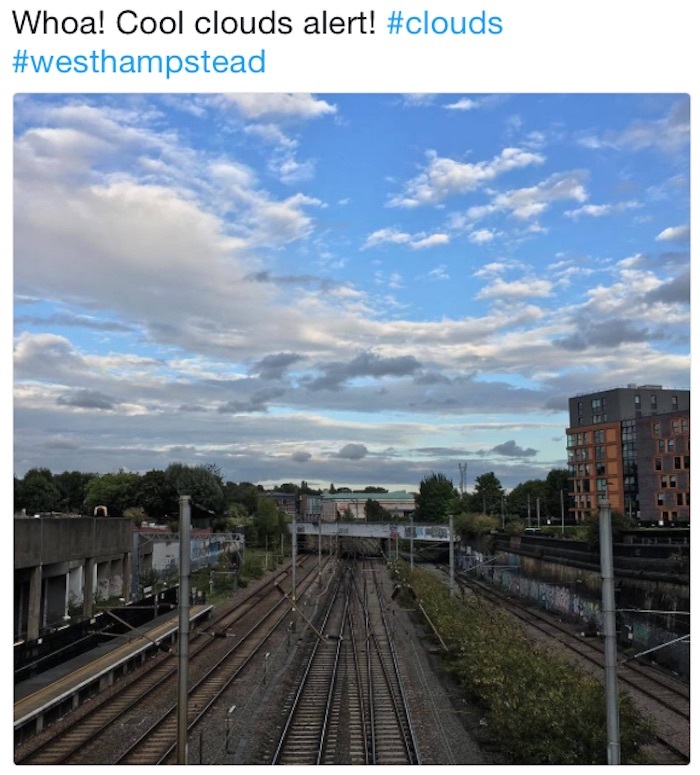 Is West Hampstead getting fitter? There is a planning application for a shop on Mill Lane to become a fitness studio and another one in a basement off West End Lane to become a gym. There was a sponsored post this week from Studio Society the new immersive gym by Fortune Green. They still have a good opening offer. But @Scandisgirl rightly pointed out the reason for all these gyms is to… (click to find out). Thinking about a secondary school for your child? Hampstead School is having open mornings. It was Cllr Flick and Ted’s excellent adventure in poetry and prose at the library. Good turnout (nothing to do with the good canapés I can assure you) and a lovely evening. … and talking of copy shops WHL bumped into these familiar faces David and Debbie of Colour Division. … and talking of closing, LaBrioche is closing as early as this coming week. Eeek. There will then be a two month refurb before it re-opens under new ownership. 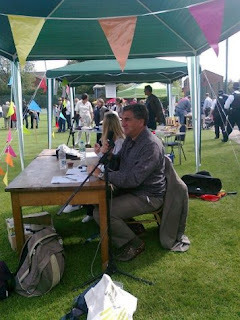 It was the farmer’s market’s fifth birthday – cake all round. And another present to West Hampstead… they have withdrawn their planning application. It garnered support – until people read the small print. WHL warned you it was going to be an action packed West Hampstead weekend, and it was. All over London it was Open House. WHL got to fulfil two long held Open House wishes; on Saturday WHL visited the Alexandra and Ainsworth Estate, a legacy of the Sidney Cooke era of Camden Housing. It’s a bit tired outside but inside the flats are great. And on Sunday it was a to visit the Isokon building. And in even further book news – last week saw the appearance of @chrisdifford in West End Lane books, an event truly cool for cats. And you read it here first – he’ll be back! Book. Your. Tickets. NOW! And coming up this week another book reading by Tony McGowan of his new book “The Art of Failing’. WHL met him for a Q&A. The countdown to closure on the Good Ship is ticking. Sad face. But some good events coming up. What, another one?! There is a comedy night to raise funds for Cricklewood Library. It’s part of a wider fundraising initiative to raise money for Cricklewood Library. Not West Hampstead, but for those in upper Fordwych Road it is their closest Library. Clare Balding played the young gun trio song about Matt (of the Naz and Matt Foundation). Be the Man. And if you want to hear more about the band you can here (esp if you are into nu-folk). It too, is inspiring! And in more entertainment news the Troubadour sessions are back at the Railway. Next one is Tuesday 19th I think. And finally, has Gollum (or anyone else lost a ring…?) on Fordwych Road.